All buildings will have escape routes within their design. 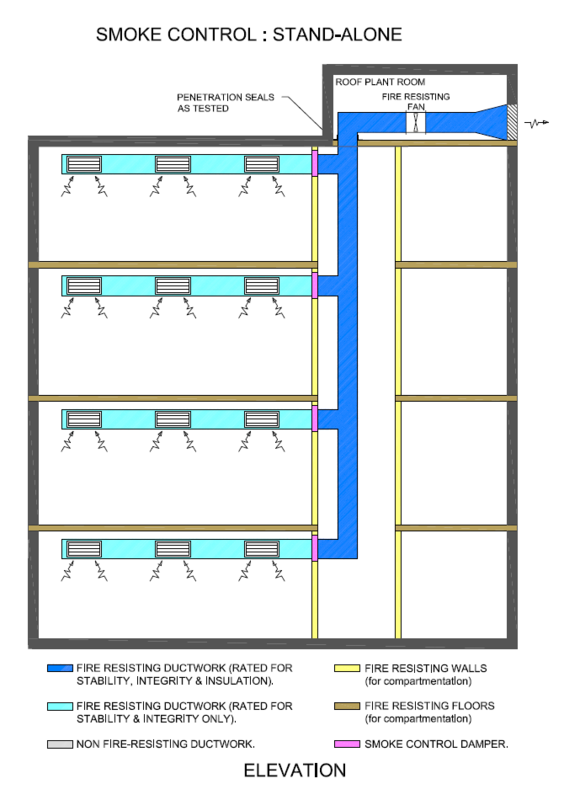 In the event of fire, these escape routes need to be kept clear of smoke to enable the occupants to escape. Smoke Control / Extract systems also aid fire-fighters in accessing the building as safely as possible and bring the fire under control. Smoke Extract – to remove smoke from escape routes, malls and stairways etc. for a given period. 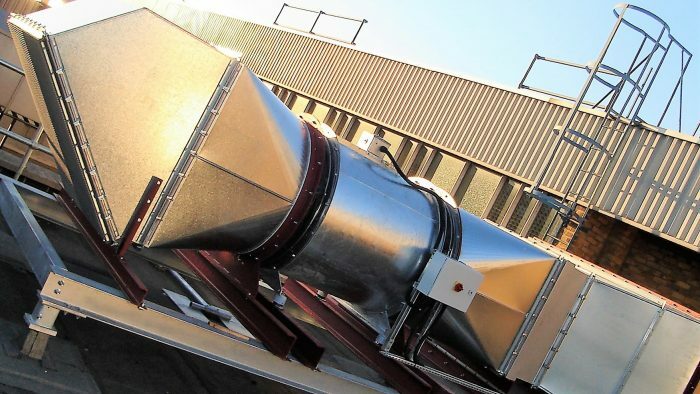 Pressurisation – to provide fresh air at a higher pressure than the air within the escape route, lobby or stair case to prevent the ingress of smoke.